sailboat. 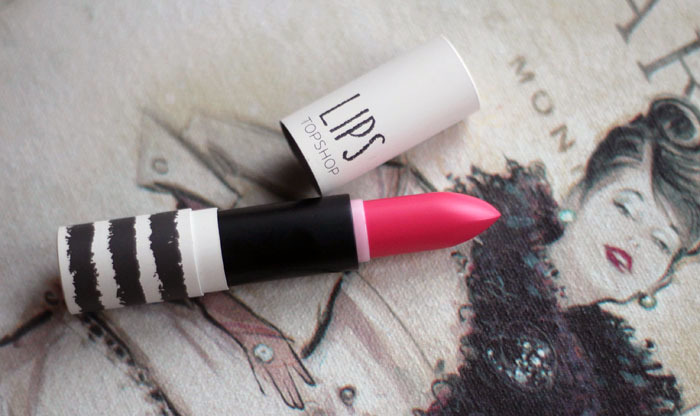 : Review: Topshop Brighton Rock Lipstick. 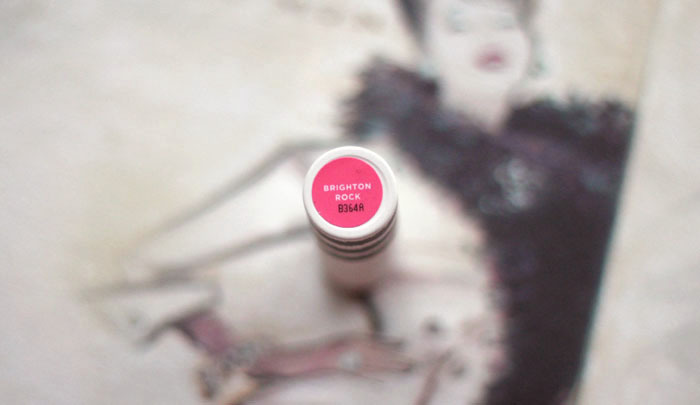 Brighton Rock lipstick from Topshop has to be one of my favourite lip colours of all time. It's one of those pink colours that's bold, but it's not too bright and you can totally make it work for daytime as well as night time. 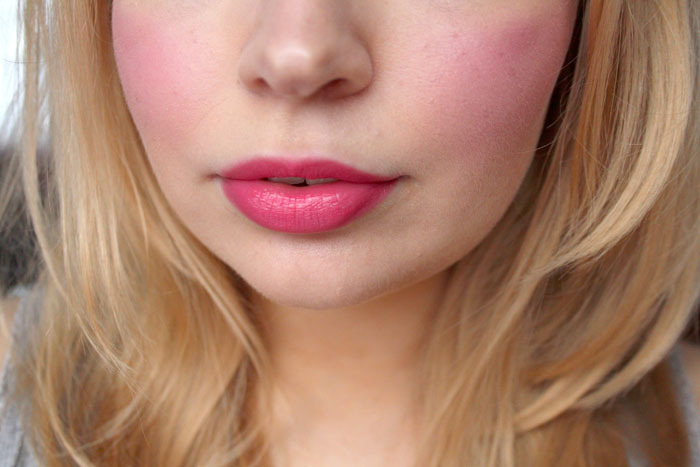 I really like that it's not super blue toned, it tends to look like a fairly neutral pink on my complexion. You can apply a small amount mixed with a bit of lip balm for a more sheer colour or you can use it directly from the tube for a beautiful statement lip colour. 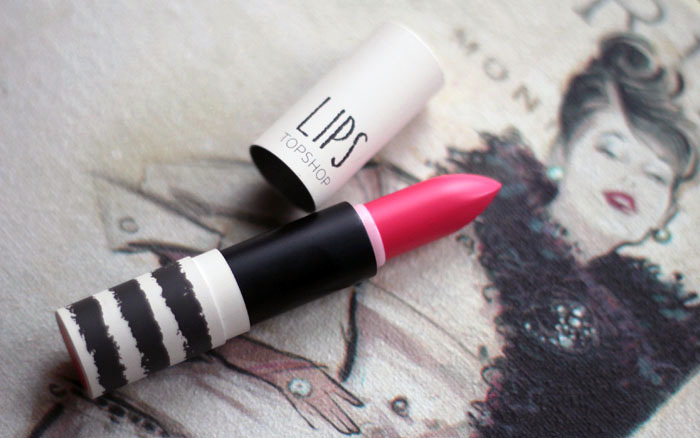 Like all Topshop lipsticks the quality is really lovely. It has a satin finish, it's not too glossy but it also doesn't feel too matte or drying on the lips. 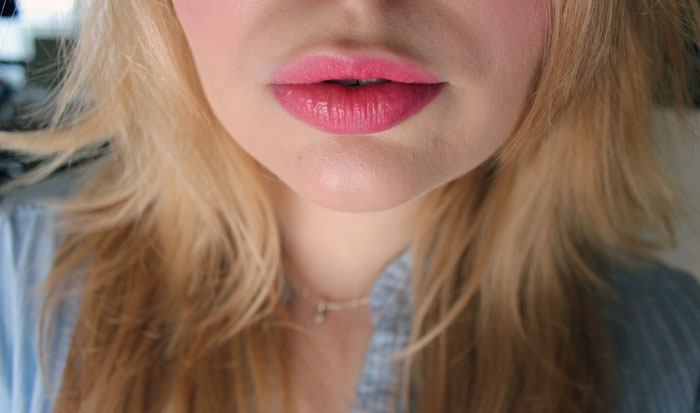 It lasts really well and also wears really well throughout the day, so if you don't want to top up your lip colour too often this fades evenly into a really pretty pinky-rose stain. I absolutely loved this shade during the summer and I know I'll be reaching for it just as much during the colder months as well. It's one of those universal shades that look pretty with almost every outfit. These Topshop lipsticks feel much more expensive than £8 and I think they're worth every penny! Have you ever tried any Topshop make up before? I'm a bit hopeless with lipsticks, I never really wear any make up, so I tend to feel really self-conscious when I wear any lipstick. I love the colour though. 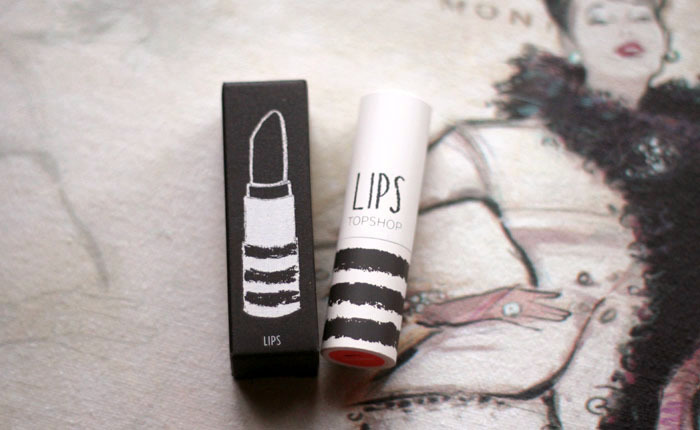 i also have topshop lipstick, but another colour, and i tested it yesterday and it's awesome! This colour looks lovely on you! I don't actually own any Topshop lipsticks :O. I think I'll have to fix this! Jenny this is such a beautiful colour and you suit it so well! Totally agree about the quality of topshop lipsticks seeming much better than the £8 price tag. I want this so badly....!When i visited London i only bought two cream blushes and now i m too far away! !It looks lovely on you! The shade is very flattering on you Jennie! I wanted to let you know I have put up my first youtube video since watching your videos was what made me want to give it go in the first place! Its featured on my latest blog post. Thats a gorgeous color, I really like Topshop makeup, I have their cheek shimmer which is lovely and a few nail polishes. ALL of Topshop's lipsticks look really good on you, it's madness! Is it the range, or are you perhaps gifted at choosing the right shades? Such a fun color! Also, your blusher complements it well, it's super pretty! Ahh I have this one, I used to wear it a fair bit at uni but I haven't worn it in ages! Must dig it out! This colour matches your skin tone perfectly! I have a few polishes of theirs but nothing else, I wish I had fuller lips, I always feel a bit silly in lipstick. 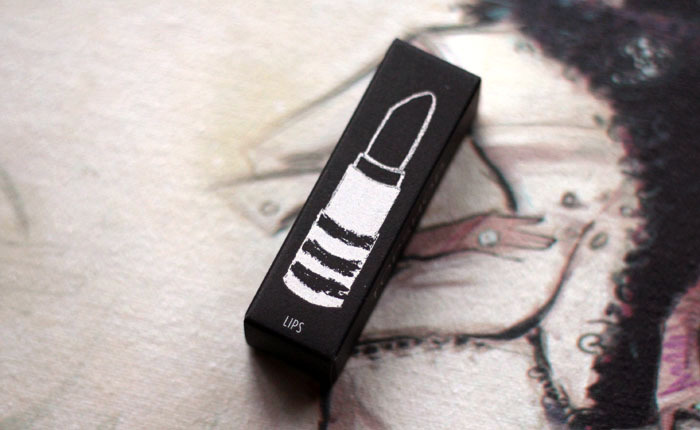 I love the packaging for Topshop's makeup. I haven't tried any of it yet though! wooow, I really adore this color Ö It looks so nice!